One the first things you must consider when starting your new architectural firm is what to name it. The choices are varied and the ramifications staggering. If the personality of the firm is going to be projected by the name, you had better take it seriously – everyone else will. That’s where Life of an Architect can help (not really) – because I am a creative and critical thinker and somebody has to think about these things. Safe? Boring? I don’t know … maybe classic is a better word – at worst these certainly aren’t very exciting, nor do they display the panache and overwhelming creativity that many of the younger firms are trying to project. Eventually, as the initial leadership retires and the next wave of partners take over, the names are reduced down to initials to help ease that transition. Here is a consideration for you: In the beginning when you open your doors for business, everybody gets to work with the person whose name is on the door. After a while, if you have experienced some measure of success, new clients will invariably meet with a variety of people who don’t have your name and those clients are going to wonder why aren’t they getting you? Despite the talents of the people they are dealing with, they came to Bob Borson Architects … so why aren’t they getting Bob Borson? (And really, who doesn’t think that?) There is a methodology I am working on to help you make your decision and it is based on a practice perfected by the owners of Chinese restaurants and Multi-family apartment complexes. Just try to tell me that you haven’t eaten in a restaurant named one of these places. The process with an apartment complex is a little more complicated but the strategy is the still the same. Tree Type + Geological feature type = apartment complex name. It’s really up to you if you want to add Villa, Estate, Apartment or Village at the beginning or end … but isn’t that really just gilding the lily? Apple, Walnut, Oak, Pecan, Willow, Maple, etc. Trust me when I tell you to avoid using Guest Bedroom or Closet – it doesn’t look professional. I am going to start off with “Atelier” because it’s French and it means: an artist’s or designer’s workroom … that has got to be good for (at least) an extra $10 per hour on my billing rate. I am also going to go with the color red as my background because it’s a complicated color – standing for beauty, passion as well as anger and wrath – but mostly because all those older and successful firms did it. Do you include your name in the title? That’s a good question and one that warrants some consideration. It is your firm after all but including your name can add for some challenges if your firm experiences some success and grows beyond you as the main talent. In addition, things can really go haywire if your last name is something that you know people will misspell … like “van Leeuwen” (man, does that guy have a hard road to hoe). That is probably why he and his business partner, “Mr. Eckert”, chose not to use their names in the title of the firm. For now, I am going to use my name because in my make-believe firm, if I don’t do it, apparently it doesn’t get done and nobody has any talent other than myself. I also like the graphic appearance the O’s in my last name provide – symmetry and balance, the hallmark of any designer worth a toot (clearly I was born to be a designer). If you were to use “Architect” or “Architecture”, be prepared to be ridiculed by me as supremely generic and not very creative. 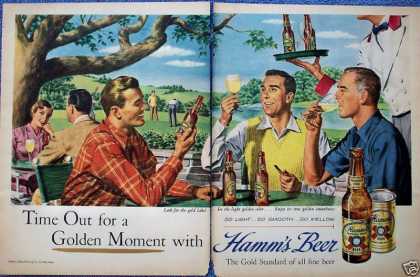 You must also prepare for the fact that you will spend your professional life site-adapting fast food restaurants and big box tenants – but I will raise my Hamm’s beer to salute you from afar … since you will be at a table reserved for bottle service and they won’t let me in that area. but please give some consideration to the “and” portion. You could write the word out but up until this point, you don’t have any graphics (and not everybody can have”Borson” as their last name). That is where the “&” symbol or the “+” symbol come into play. I hope you can use this most instructive methodology to develop your new firm name. Choosing your components properly and building your new firm name with this methodology will ensure that you will experience everything that you have coming – I’m warning you now so don’t say I didn’t warn you. I should come clean and let everyone know that post was supposed to be a goof – hopefully, you know that. The problem is that no matter how hard I tried to make this post humorous, there was simply too much truth in the process. Maybe this is a commentary on how predictable a purported group of creative thinkers has become – along with their black clothing, heavy-rimmed glasses, and felt-tipped pens. <sigh> I have all those things too – because I am soooo predictable…..